Since its inception, the BESt pharmacy program has trained 300 St. Louis metropolitan area high-schoolers to be future healthcare professionals. Pictured are students from the 2016 summer cohort. The acronym “BESt” represents the three institutions that dedicate their resources to the program: Barnes-Jewish Hospital, Express Scripts, and St. Louis College of Pharmacy. Steven Player has some advice for young people considering healthcare careers. “Look at the changing demographics of our country, and look at some of the opportunities we have to improve not just the health outcome of our community, but our families and our friends,” Player said. That opportunity is the BESt Pharmacy Summer Institute, which Player cofounded. A residential summer institute dedicated to helping high school students from minority groups enter careers as pharmacists, BESt celebrates its 10th anniversary this upcoming year. Since its inception, BESt has trained 300 St. Louis metropolitan area high-schoolers to be future healthcare professionals. BESt has grown over the past 10 years, and now trains about 60 students per year. The requirements for joining the program are simple: Students must be sophomores, juniors or seniors who live in the St. Louis area (including St. Charles, Madison County and St. Clair County), with at least a 3.0 GPA on a 4.0 scale. They must also be part of a minority group historically underrepresented in healthcare professions, which BESt defines as American Indians or Alaskan Natives, African Americans, Hispanics or Latinos, and Native Hawaiians or Pacific Islanders. The acronym “BESt” represents the three institutions that dedicate their resources to the program: Barnes-Jewish Hospital, Express Scripts, and St. Louis College of Pharmacy. Together, they put together a summer experience which includes both elements of technical pharmacy training, and academic work. That academic work includes preparation for the ACT, which might help explain the 100 percent college acceptance rate of BESt graduates. Of those graduates, 65 percent pursue pharmacy as their profession, but the other 35 percent get something out of their time in BESt, too. “Curriculum for a BESt One student [entering 10th grade] consists of advanced chemistry and college level algebra, professional development, a sort of introductory pharmacy 101 course, and College Edge, which is an offering by Princeton Review for ACT prep,” said Player. BESt curriculum also includes hands-on experience. After all their academic courses, on Friday afternoons the students visit real healthcare providers to see firsthand where their pharmacy education might take them. Those places have included the Academic Medical Center at Barnes-Jewish Hospital, Express Scripts, the Poison Control Center and even the veterinary hospital at the St. Louis Zoo. BESt coursework is rigorous. Many students earn college credit from the work they do in only 6 weeks in the program. To make sure students coming from any school are able to cope with the workload, however, BESt provides peer tutors and office hours with teachers to make sure all students have the resources they need. The supportive environment and competitive coursework of BESt is now “bearing its fruit,” as Player puts it. Three BESt graduates have been hired in the past year by St. Louis healthcare providers. One graduate was hired as a pharmacist, and one was hired in human resources for Barnes-Jewish Hospital, and a third was hired in health information acquisition by Missouri Baptist Medical Center. BESt also hopes to begin offering internships at Express Scripts and Barnes-Jewish to program graduates within the next few years, to make sure BESt students are supported even after they leave the program. 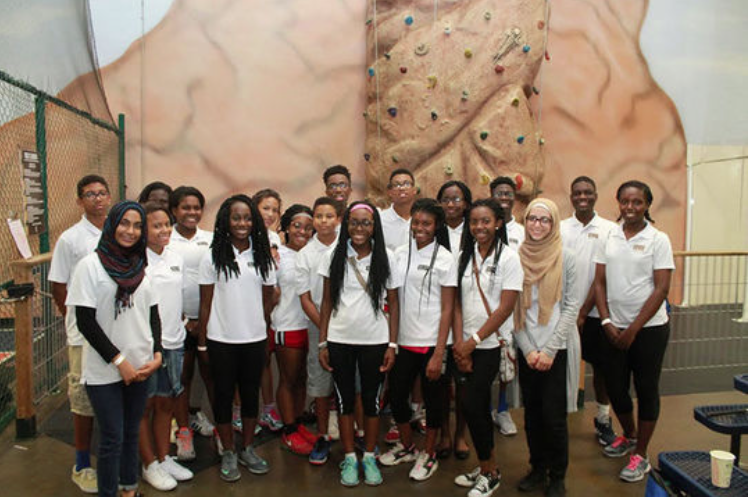 And summer programs like this one are critical now more than ever, since there are still relatively few ethnic minorities in STEM fields like pharmacy.